Ramadan! One of the most blessed and enjoyable months of the year. But for Muslim sisters, it can also be a month of pressure, extra demands, and anxiety. Many sisters have added pressure of preparing Iftar, taking care of the children as well as trying to find extra time to read Qur’an and perform nawafil acts. 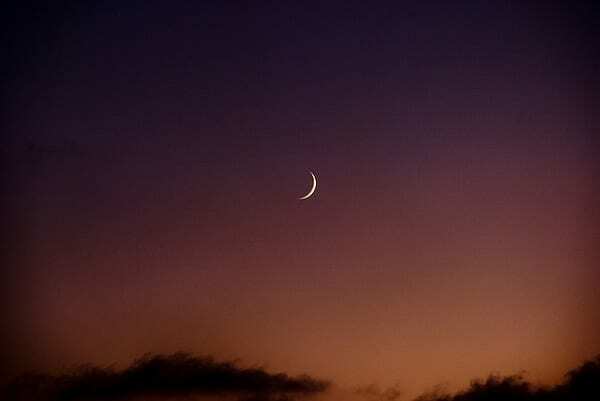 Of course, the stress can pile up so begin early and prepare for Ramadan stresses with these 10 helpful tips and ensure a peaceful and serene Ramadan. 1. Read or listen inspiring stories from the Qur’an. The Qur’an has stories of righteous women who had difficulties but remained patient and received Allah’s reward as a result. Maryam, mother of Isa was accused of immoral acts – she was blessed with a virtuous son who became a noble prophet. Asiya, the wife of Pharoah was tortured viciously by her husband – Allah informed her of her place in Paradise. The mother of Musa gave up her son for a period of time – Allah returned him to her and blessed him to become a righteous prophet. Through their patience, Allah blessed these women with something better than what their trials presented to them. Stories such as these found in Qur’an are not merely for our reading pleasure. They are words of inspiration to help us through our most difficult challenges in life. As preparation for Ramadan, take up 15 minutes every day to read or listen to a story of these amazing women; when the stressful time of Ramadan approaches, your mind will be set with a positive outlook so you can tackle the busyness with courage and patience learned from these role models. 2. Make extra du’a and memorize them. Remember to ask Allah to solve your problems and relieve your stressors. He is the One who is in control of everything. In Surah Mujadilah, Allah lets one of the female companions of the Prophet Muhammad know that He hears and knows of her complaints, and He responds to her worries and concerns, as well. We must remember that Allah can make the difficult easy. So recite du’a more frequently to prepare for this month, and while you’re at it, try memorizing them, as well. Allah wants us to seek His help and to plead to Him, so ask Him often for His assistance, especially to help you deal with the coming stresses of Ramadan. 3. Work on becoming more patient. Make a special effort this Ramadan to intentionally work on becoming more patient and start this now. When we try to be patient, in sha Allah, Allah will make it easier for us to continue. The Prophet Muhammad said, “…and whoever remains patient, Allah will make him patient…” [Bukhari]. We should use the difficulties of this blessed month as an opportunity to build our patience. We all need and want Allah to aid us and be with us and being patient is one way of achieving this great blessing, in sha Allah. Unfortunately, patience is not always a natural character trait and the difficulty in practicing it is why it is so rewardable. This month, make a quick note in a private diary/phone app (for example, Notes on iPhone) of the situations in which you did not exercise patience or situations you could have handled better. Having our weaknesses spelled out to us is an effective way for us to actively practice Sabr when similar things happen again. 4. Appreciate an empty stomach. No doubt, being hungry can make us grumpy and more easily irritated, but having an empty stomach can also, in some respects, make us more calm and subdued. Hunger slows us down and makes us less worldly. People are more contemplative when fasting. Although the lack of eating can make us irritable, we’re also less energetic and we become more restrained. We should take advantage of this unique aspect of fasting during our difficult moments and fast Mondays and/or Thursdays until Ramadan begins to prepare us for physical difficulties of Ramadan. 5. Spend extra time with our kids. One of the greatest stresses mothers experience is the misbehavior of our children. One of the most effective ways of managing misbehavior is by being proactive and spending quality time with our kids. During the first few days of Ramadan, we often wonder what to do with the extra time we have from not eating. Some of this extra time can be spent playing with our children. We can read Islamic stories to them or even tell some from memory. How about playing Scrabble or Score Four or some other entertaining game? Or, better yet, we can search online for Islamic stores that sell children’s Islamic games and play fun and entertaining games that teach about our religion. What about working together with the kids to design Ramadan posters to place throughout the house? Search online for creative and fun games that cost nothing, such as guessing games? Switch your stress from frustration to fun. 6. Do arts and crafts or hobbies. One of the best ways for us to feel good about ourselves is to become creative. Producing useable items that we have produced from hard work makes us feel valuable. We can work on a quilt or make pot pourri with flowers from outside of the home. We can even crochet a kufi or knit a shawl for Eid. These are things that can distract our mind from irritated feelings, makes us feel more composed and is a great way to engage the kids. It is becoming more and more apparent to psychologists and those who work with people who have depression, that one of the best ways for people to feel content is for them to help others less well off than themselves. Women generally have the task of cooking and it is easy to make a small portion extra to give to an elderly neighbor. Stop by their house and help clean the home, shop for them or fulfill some other need they may have. If you know a family that is not doing so well financially, prepare a delicious meal for them and send it over for them to enjoy. The list of charitable deeds is endless and generally doesn’t take a lot of time do to once or twice a week. If you start these deeds now, they will become second nature by the time Ramadan arrives and you rewards will be multiplied! 8. Remind yourself that this is will be a special and fleeting month. It will only be here for 29 or 30 days. Realize what an enormous blessing you have to increase your good deeds, grow closer to Allah , and hopefully attain a spot in Paradise. The thought of entering paradise someday with endless pleasures that only increase in their joy and have no stresses or difficulties, is likely enough to get you through the harder times of Ramadan. I wish all sisters a peaceful and serene Ramadan!